Mattie Burkert is the T.A. Coordinator of Outreach for the Writing Center at UW-Madison, where she has been a tutor since 2011. She is also a Ph.D. candidate in Literary Studies. Imagine you’re a writing tutor with no background in biology. A student comes to meet with you in the Writing Center about a draft describing the process of obtaining lysates for an experiment, like the example in the image above. What do you do when faced with this material? Do you admit that you don’t know the first thing about what lysates are and why they might be useful? How can you look beyond these unfamiliar terms to identify and respond to the larger intellectual and rhetorical work the writer is doing? Every Writing Center wants to help tutors feel comfortable crossing disciplines, and just as importantly, we want to develop and maintain productive partnerships with colleagues in other departments and programs. One way our Writing Center tries to meet both of these goals is through our Outreach program. Every year, staff from our Writing Center are invited to over 150 classrooms, workshops, and events across campus, where we co-teach writing lessons customized for particular disciplines and specific writing tasks. Having had the privilege of serving on our Writing Center’s Outreach staff for the past two years—including coordinating the program this year—I am deeply invested in the importance of cross-disciplinary collaboration for teaching writing. Working with colleagues in other fields helps us draw on their expertise about the forms of communication that carry value in their fields, developing knowledge we can bring back to the Writing Center, while also sharing what we know about writing process and pedagogy. Tutors who work in our Outreach program get first-hand experience designing and leading writing lessons with faculty and instructors from across the university, which develops their awareness of conventions in different fields and their confidence crossing disciplines. But beyond the Outreach staff, we want to find ways to help all of our tutors develop this confidence and awareness, so that they can use it in their one-to-one appointments with individual writers. So, how do we develop training that moves beyond the superficial and draws on the expertise of our partners across campus? One model for tutor education is to incorporate it into staff meetings, building on discussions that begin in our initial training seminar. For example, our November staff meeting featured a panel of faculty members in the social sciences: Tina Winston from the Department of Psychology; Michael Massoglia from the Department of Sociology; and Tracy Schroepfer from the School of Social Work. All three of these guest speakers shared information about the expectations for undergraduate writing in their respective programs, as well as the ways that each department incorporates writing into the curriculum. Another model for training is that of the Ongoing Education seminars we run each semester, which offer an opportunity for a small group of tutors to engage more deeply with a specific set of questions or materials over the course of multiple meetings. In this post, I discuss an Ongoing Education that we held this spring to increase tutors’ understanding of writing in the sciences. Of course, science writing is not the only kind of writing that tutors need to learn about, but our tutors come largely from Ph.D. programs in Composition-Rhetoric and Literary Studies, and they often express a desire to better understand and more effectively address the specific challenges that face advanced writers in science, technology, engineering, and mathematics (STEM). In response to this need, Nancy Linh Karls—our Science-Writing Specialist, who directed a Writing Center in Health Sciences at the University of Colorado-Denver before coming to Madison—invited me to help her design and lead a two-part workshop series for a group of 10 participating tutors. We called it “Beyond the Two Cultures: Strategies for Working with STEM Writers,” a nod to C. P. Snow’s The Two Cultures and the Scientific Revolution (1959), an oft-cited (and oft-criticized) characterization of the split between the sciences and the humanities. 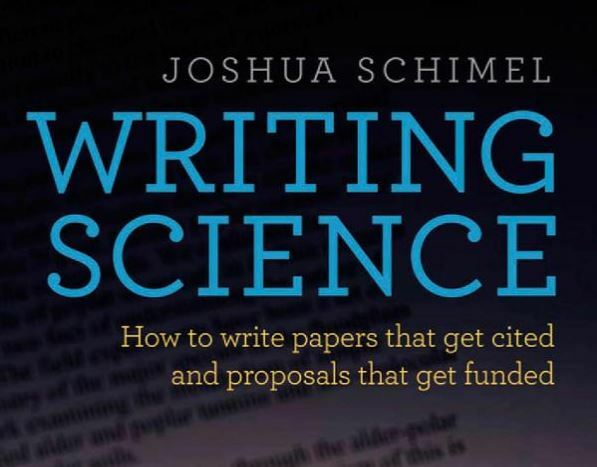 In advance of our first meeting on February 14, Nancy and I asked the participating tutors to prepare by reading the first three chapters of Joshua Schimel’s wonderful book Writing Science: How to Write Papers That Get Cited and Proposals That Get Funded (Oxford University Press, 2011). We also asked them to watch this TEDx talk by Judy Swan, Associate Director for Writing in Science and Engineering in the Princeton Writing Program, as well as excerpts from presentations by Laura Hogan, Science Editor for the Institute for Clinical and Translational Research (ICTR) at UW-Madison. At the first meeting, the group discussed the principles of scientific writing outlined by Schimel, Swan, and Hogan, and compared them to characteristics of writing in the humanities and social sciences. Nancy and I invited participating tutors to reflect on connections they saw to their own experiences working with science writers in the Writing Center. We talked about the usefulness of models when working with unfamiliar genres or disciplines. We also talked about how to respect writers’ content expertise, while recognizing that we have certain kinds of expertise as Writing Center tutors. For instance, we are skilled at analyzing models rhetorically and helping writers learn to make the “moves that matter” in specific contexts; in addition, we bring to every appointment a deep understanding of writing as a process. After compiling a list of principles for working with writers in the sciences, we reviewed a sample draft of a grant application abstract and discussed how we would approach this draft during a one-on-one session with the writer. Our second session was a field trip to the Health Sciences part of our campus on March 7 to meet with Dr. Laura Hogan, the science editor for ICTR. Before the meeting, the tutors sent along questions for Laura to consider ahead of time. Their questions had to do with the vocabulary scientists use to talk about writing and writing process, the common challenges that face early-career scientists learning to communicate with their research communities, the workflow of writing in the sciences (especially collaboratively written papers and grants), and the specific kinds of help science writers might be looking for from a Writing Center tutor. She generously offered insights based on her experience as a researcher in Cellular and Molecular Biology, as well as her work editing grants and manuscripts and running writing workshops at ICTR. Much of her message was reassuring, reinforcing ideas that are central to Writing Center practice. For instance, she noted that many scientists go into research not realizing how important writing will be to their success, so they often first learn to think of themselves as writers in graduate school; as tutors, we can help these researchers become more aware of their own processes and identity as writers. In addition, although tutors are sometimes daunted by the vocabularies of unfamiliar fields, she reminded us that no one can know all the methods and literature even in all subfields of a single discipline; nonetheless, smart generalist readers with rhetorical awareness are useful responders, especially to sections like the abstract and discussion that do the work of framing and contextualizing the more technical sections (such as the methods and results). Finally, she emphasized that research writers need multiple readers, and encouraged us to be sure that advanced writers are not only bringing their work into the Writing Center, but also showing it to faculty advisors and mentors. On the whole, she offered concrete advice for positioning ourselves as part of a larger ecosystem of readers that advanced research writers should be drawing on for different kinds of feedback. 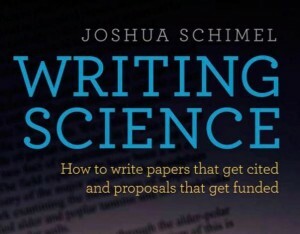 A theme across both of our discussions was the idea of science writing as “storytelling.” This is a key idea in Schimel’s book, but by “storytelling,” Schimel doesn’t mean fictionalizing one’s work, creating dramatic characters, or crafting beautiful imagery. Rather, he emphasizes that, like all good stories, the best scientific papers are engaging, surprising, and unexpected; they ignite the reader’s curiosity by highlighting the knowledge gap that drives the current research; and they are deliberately and self-consciously crafted efforts, rather than mere “write-ups” that happen after the real intellectual work is done. 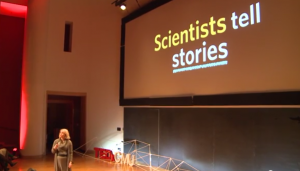 Judith Swan takes on the issue of science writing as storytelling from a slightly different angle in her TEDx talk; she talks about how the passive voice in methods sections allows the materials to be the main characters of the story, without the unnecessary syntactic intrusion of human agency. As tutors, we’re often helping writers figure out what story they’re telling, but there are real risks to using terms like “story,” “genre,” or “narrative” that can connote fictionality, fabrication, or creativity rather than objectivity. I recently experienced these risks during one of my Outreaches, at a WARF Discovery Challenge Seminar on scientific writing. I had the opportunity to present alongside Joan Jorgensen, a Professor in the Department of Comparative Biosciences, on the principles of argumentation and storytelling that can help scientists develop successful grant proposals. During the Q&A, one member of the audience asked us whether scientists who approach their work as storytelling could end up obscuring rather than clarifying the subject matter by manipulating the reader’s focus. He wondered, in other words, if the idea of scientific writing as a story opened up the door to deception. In that context, Joan and I were able to clarify the difference between scientific “stories” and fictional ones, but the exchange was a useful reminder that this terminology might not click with all audiences. We talked about this risk in the first meeting of our Ongoing Education seminar, but we also learned in our second session that Laura uses the same approach when working with researchers at ICTR. 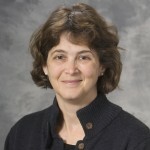 One participating tutor, Rubén, later commented that he was “surprised to hear Laura Hogan use the word ‘story’ in talking about how she coached and helped writers make sense of reviewer feedback.” Like Schimel, Laura has a background as a research scientist, so she understands deeply the values that drive scientific communication, and she finds the idea of “storytelling” useful despite its connotations. The term serves as a reminder that research writing appeals to the same sense of curiosity—and follows the same arc of exposition, conflict, and resolution—that underpins good stories. Our discussions around this specific word, “storytelling,” also reminded tutors of the need to define the vocabulary we use when talking to people in other disciplines, remembering that the terms we sometimes take for granted in the Writing Center are not universally recognized. In his reflection on the Ongoing Education, Rubén remarked: “it’s gotten me to think more carefully about the meta-talk I use when working with writers.” Just as a tutor without training in biology may need to ask a writer to explain what a “lysate” is, we should also remember to define our specialist vocabularies—terms like “rhetorical situation,” “genre,” “signposting,” and yes, “story”—when crossing disciplines. Do you have thoughts on tutor education in writing across the disciplines? We’d love to hear from you in the comments! Mattie–your post creates a wonderful argument for some of the inherent similarities that exist in the sciences and in the humanities. You are correct to bridge the perceived divide between these disciplines: a focus on storytelling is needed across disciplines and departments. As a TA in UW’s DesignLab (and a PhD candidate in English), I often see students struggle to tell stories, whether in a scientific context, a business framework, or an engineering scheme. Whether we communicate our assignments and research in the form of graphic essays, presentations, or even data visualization, the story stands at the center. Mattie, I love this peek into the vivid conversations about writing you and your Outreach team take into every building on this mammoth campus. It’s especially heartening to hear that good scientific writers see their goal in much the same way we do: to recognize and meet the reader’s expectations. As a Writing Center TA, I found this language useful just this afternoon, when I worked with a sophomore in a psychology course to develop sentences that help her reader see the story her research proposal was working to tell. Might a storytelling-framed discussion of science writing contribute to the over-incenting of positive results? Stories are less compelling when the “Happily ever after” is a negative or null result. And what access to knowledge do we lose when to ask research to fit a narrative model? We don’t want every novel to be a detective story. What do we lose when other models of human communication—association, reflection, description—are devalued? Your terrific post highlights so many of the ways that these discussions have proven useful since the OGE. I chose to take part in this opportunity because I didn’t feel like I had the proper vocabulary to speak with science writers about their work without inadvertently prioritizing writing in the humanities. In the past, my students had been understanding (probably because they were accustomed to seeing English majors for writing assistance), but that didn’t make it any less frustrating. Since the end of the OGE, I’ve worked with several science majors on small projects and it has been refreshing to have what feels like a new frame for a familiar set of tools. Rather than upending how we engage with writers in the sciences, this opportunity–and particularly our conversation with Dr. Laura Hogan– helped illustrate which parts of our usual method might require adjustment or translation. In a broader context, our discussion made me curious about how the modes of argumentative storytelling differ, even across the humanities and the social sciences. If we frame our interdisciplinary work using that frame, what might we learn about moving between, say, anthropology and film studies? Laini — Thanks so much for sharing the ways that these reflections overlap with your experiences at DesignLab! It’s fascinating to think about how “storytelling” principles cross not only disciplines, but also media. Rachel — I’m so glad to hear that this experience paid off for your one-on-one teaching! I also think you’re asking great questions about how we might bring these insights to a deeper understanding of how argument and story work in the humanities and social sciences. I’m curious: can you imagine a training activity — whether a staff meeting, an OGE, or something else — that could help explore those questions? So, I think a negative or null result can absolutely make a good story, if the writer thinks carefully about why that result matters, what it says about the phenomena under consideration, and what kinds of new research or new approaches it calls for. Mattie, I really enjoyed your reflection the many ways the Writing Center prepares tutors to work across disciplines — particularly reaching into the sciences. Working on the outreach team for a couple of years and this year in the Writing Across the Curriculum program here at UW, I’ve been especially struck by the fruitful nature of cross-disciplinary conversations. Your last line — “Just as a tutor without training in biology may need to ask a writer to explain what a “lysate” is, we should also remember to define our specialist vocabularies—terms like “rhetorical situation,” “genre,” “signposting,” and yes, “story”—when crossing disciplines” strongly resonates with my experience as a tutor and a consultant in WAC contexts. Defining terms on each side and is generative — tapping into the expertise and multiple viewpoints that come from both disciplines. Storytelling, through Schimel’s interesting definition, strikes me as really interesting place to have such cross-disciplinary discussions. Mattie, thanks for this post — I think your careful reflection on about the benefits and drawbacks of framing scientific arguments as stories is useful for the tutors you’ve worked with here at UW-Madison and beyond. As your exchange with Mike in the comments points out, however, defining a “good story” broadly is required. I agree that negative or null results can make good stories — and sometimes make for a more theoretically challenging or revealing argument than a simple “we found what we thought we’d find” match between hypothesis and conclusion. With some of the most advanced writers in the sciences and quantitative social sciences that I’ve worked with in the Writing Center here, we spend most of our time figuring out the story — i.e., with the partial or incomplete data that the writer has ready for a particular conference paper, for example, what kind of set-up and framing best highlights the significance of the results so far? Thank you for this wonderful reflection Mattie! Most of all I am always struck by how much work the outreach team is constantly doing in so many disciplines across campus and the wonderful ways in which we seek to connect with each writer in their disciplinary homes. I particularly enjoyed your descriptions about science writing as ‘storytelling’ — you point out the really reflective and generative uses of storytelling in a connective manner, and underscore how regardless of the genre, we are always seeking to connect and ‘ignite’ the minds of our readers. This is a great post, Mattie, and on a topic in which I’m invested. I love working with science writers in the Writing Center—partly because I get to geek out like the closeted science nerd I am, and partly because I get to demonstrate to writers outside the humanities that a) their writing matters and b) reasonably intelligent layfolk can care about and even sort of understand their research. I don’t think I’ve used metaphors of storytelling with my students, but they often come in concerned about “logic.” Their advisors tell them to make sure that a non-specialist in the field can understand the work by involving someone not in the field at all (to echo Dr. Hogan). Nonetheless, what I’ve found is that I often wind up soliciting a story: “Can you explain your study to me a little bit?” And then, after we read through a section or a paragraph, I tell a story back: “So here is how I understand this… Is that right?” Science is all about relationships. If you feel like you have to fill a gap, so will a reviewer, and that will not end well for the paper. It’s important to be able to admit minor defeats. I don’t remember what a lysate is, for instance. But having a basic vocabulary for the elements of scientific writing reassures most students in the sciences more than an ability to identify mammary cells in a figure. We should be able to describe the principal work of an abstract and have a sense of the “feel” of the other sections (e.g., the dryness of the Methods). Knowing the name of a major journal or two in almost any scientific field gives you a little cred, and taking a moment to examine the differences between papers in a few different disciplines makes it easier to dive into a session with a new student. I also recommend reading through the Instructions to Authors for some different journals; it’s good to know what scientists expect in a final product (and also where to find these guidelines when a student seems uncertain). As a final side note, I worked with Dr. Jorgensen in my past life with a scientific society/journal, and she is absolutely terrific. Her work in science outreach with kids is incredible! Thanks for shedding some light on both your outreach activities and on your OGE this semester. I, too, am interested in science writing, and was sad to miss the opportunity to talk science with you and Nancy. To be meta for just a moment, this blog post highlights some of the ways that this forum allows us to see what we otherwise might miss in our Center and across our campus, as Deb Brandt mentioned in this post. Usually, I try to refrain from using anecdotes here, but this one is too perfectly matched to your post for me to resist. 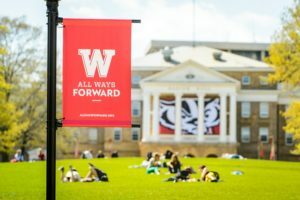 I had the opportunity to see this connection between the sciences and the humanities in action this past week at an event sponsored by the Kohler Fellows at the WID. At the event, we talked to people outside our field about our dissertation and then presented on one another’s dissertations (e.g. I presented on my partner’s dissertation in biochemistry). After all the presentations, we were all talking and someone pointed out that grad students from the humanities seemed to make more interesting connections between projects because we were “skilled in storytelling.” My partner (the biochemist) then pointed out that I was able to tell the story of his work because he had told it to me in a way I could understand. I feel like part of my success in this interdisciplinary forum stems from my work in the Writing Center, where I, like Jessie mentioned, ask students of all disciplines in all sorts of classes, to tell me the story of their projects before we begin a session. Often, after reading a section, I’ll tell that story back to them, to show them whether or not they are telling the story they mean to tell. I feel this critical step is important in addressing some of Mike’s earlier concerns, as retelling can highlight some of the “happy ending” work that a student might be inadvertently doing. As you say, this is all important work. My question then is, how do we present this to people who haven’t already bought into the Writing Center? How do I say to someone who asks that, while I may not know about postpartum diseases in cows, I was able to significantly help someone with a dissertation on the subject? These critics will look askance at storytelling, I imagine, but might be more apt to understand Jessie’s “logic” as a valuable skill we bring to the table. But I feel like we lose something with that terminology. I’d love to hear others’ thoughts about presenting this to more skeptical audiences. Thank you, Mattie, for highlighting such important concepts: cross-disciplinary interaction, respecting the expertise of colleagues (going both ways! ), and focusing on the story-telling aspect of writing. I think we scientists have much to learn from our humanities-based colleagues. Many of us went into science thinking that we wouldn’t have to worry about writing! I think things are definitely changing in scientific curriculum to incorporate more writing skills–but I think much more could be done. To that end, I’ll be encouraging “science” students to seek out the Writer’s workshop much more often! As for storytelling, I think human nature lends well to the use of storytelling as a mode to encourage interest in any topic. In general it is so much easier to engage in a topic if the writer can clearly introduce the “characters”, provide the setting, and use them to incorporate a beginning-middle-and end no matter if the data were positive or negative. The key is to have an excellent understanding of each of those components before you begin to tell the story. And I agree–if the writer maintains an open mind about those characters, they will likely see the unexpected stories that otherwise may not have been noticed! I enjoy and look forward to working with more writers in the sciences, and so the training I’ve received during my time in the Writing Center as both an instructor and as a result of my outreach visits has been invaluable. If anything, it’s shown me that writers in the humanities have as much to learn from writers in the sciences as they do from us, writing center instructors–it’s all a matter of listening, both to how we talk about writing as well as how they talk about it. Because our work as academic writers still involves telling a story, it’s always useful to understand how those stories are told, to whom, and under which conditions. Be it a Writing Center one-on-one session or a presentation made before a class, the conversations we had this semester in and around writing in the sciences has made me a more effective writing instructor. Next Post To Consolidate or Not to Consolidate? That Is the Question . . .